"Don't take that color!" that message always comes from him whenever he sees me with a pink color. I'm a pink lover and I can't help it. Well, I wasn't before until ... I can't really remember when I actually like, or love, this color, and I'm afraid that I might turn to gay. Jeung, please visit & follow my blog y .. 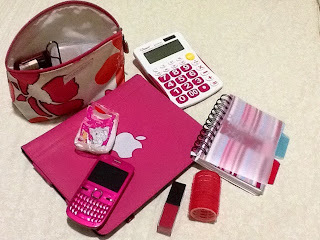 I'm a new comer in blogging ..
im a pink lover , too . same as you , pink is the best !! !